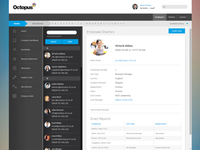 CascadeGo is the ideal HR solution for UK SMEs needing a cost effective HR solution for up to 200 employees. 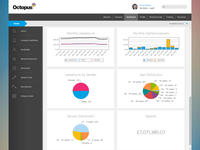 CascadeGo (formerly known as Octopus HR) helps UK SMEs to manage their workforce more efficiently. With CascadeGo you spend less of your time managing day-to-day HR admin and more of your time adding real value to your organisation. CascadeGo provides all of the functionality you'd expect from an award-winning, self-service HR system, and can be customised to the specific needs of your organisation. Comments: Good cloud-based and self service software. Back end for HR Admin is a bit complicated with "where clauses" etc. to get to grips with but since they were acquired by the Cascade/Iris software group there is a larger support team to help with this. Pros: The self service elements are excellent and are employees picked up using a self-serve HRIS well and without a lot of teething problems. The tracking of holidays, absences, the inbuilt total reward statement and uploading of documents is proving very useful - we no longer get loads of requests for paper appraisal forms each appraisal season. We also use the e-recruitment module which helps us with applicant tracking and vacancy management. Cons: The training we got, to begin with, was not great as it was very in-depth but we were told not to take notes as it was all covered in user guides. This was not really the case so my advice would take lots of notes in your training! Since then the software support team has grown and we have found our needs better supported. 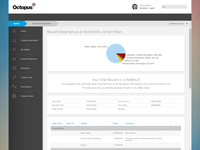 We are still struggling to use payroll features for seamless payroll integration. 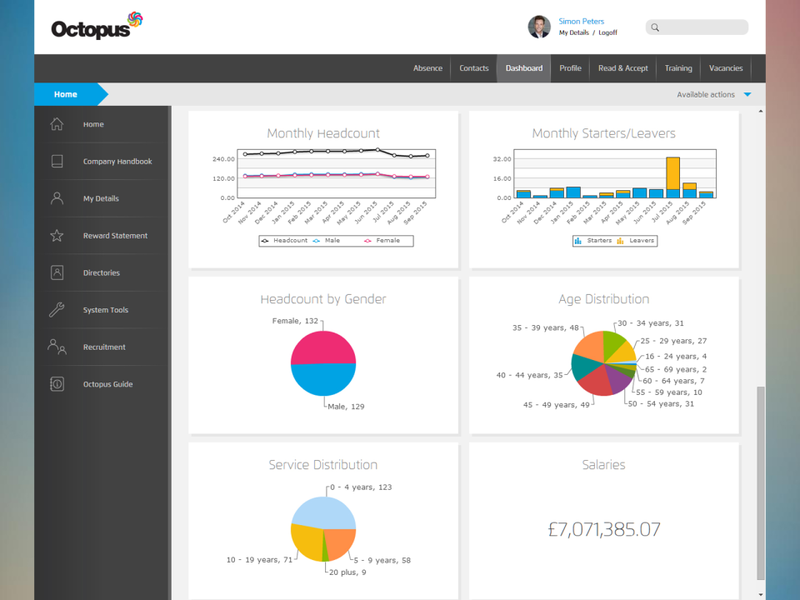 Pros: Being able to centralise everything in to one system is ideal for a company of our size. It gives us visibility of the details we need at all levels whilst also being user friendly for all users. Cons: Not many things. The where clause stuff can be a bit fiddly but the team are always updating and improving things (where clause builder was released recently) and the support team are always quick to respond and help with issues. Even when there have been the odd tricky bits, they have always been resolved. Exports on more of the analytical information could be "punchier" in graph styles, although admittedly I have not had to use these functions to their fullest so this may just be may limited experience. Recommendations to other buyers: If you want everything in one place but still allowing managers and employees access and ownership over things, this is a great system. If you are a bigger business who needs analytical tools then definitely check if the exports and reports will do what you need them to, again I haven't made full use of this side of things so I couldn't be entirely sure of the possibilities. Cons: It would be brilliant to have help guides which could aid members of staff around the system. Our company is encouraging managers to self service but I can only find help guides for the Administrators. Overall: Since using Octopus I have received the best customer experience ever. I must contact customer service on a daily basis asking questions and get a very quick response with brilliant guidance. All members of the team are exceptionally patient. Thanks for your great feedback Kelly. We're working on some user guide videos from an employee's point of view, they should be available soon, will let you know when they've launched. Comments: No hesitation in recommending OCTOPUSHR. Pros: From the first phone call to every phone call there after, they are the most knowledgeable people about their products. No pushy sales people. They give you just what you need to run your business efficiently. Ease of use and the speed at which bugs get fixed. Support staff helpful and attentive; The best customer service. Pros: HR Self Service functionality is excellent and very easy to use. Cons: Octopus has met all our core requirements. I would recommend that you attend the training courses to gain maximum benefit from all the functionality on offer. Recommendations to other buyers: Ensure that the systems you look at have true scalability like Octopus HR and will meet your requirements now and into the future. Pros: It has made my life so much easier and automates much of the admin that used to take up my time. I've found it easy to use, the roll-out to our staff was been easy too. If I ever get stuck on something the support team have been really helpful and get back to me very quickly. Cons: Only thing I'd say is that it's so in depth that it can take some effort to understand everything. Recommendations to other buyers: It's a really really deep system. You get tonnes of functionality and great support. There are cheaper systems out there so if you want something lightweight that's cheap and will work while your headcount is small then maybe look elsewhere. Cons: Why didn't we use this sooner. Overall: This has improved our recording of holidays and sickness dramatically. Employees can view their own personnel files at any time, view training documents etc. 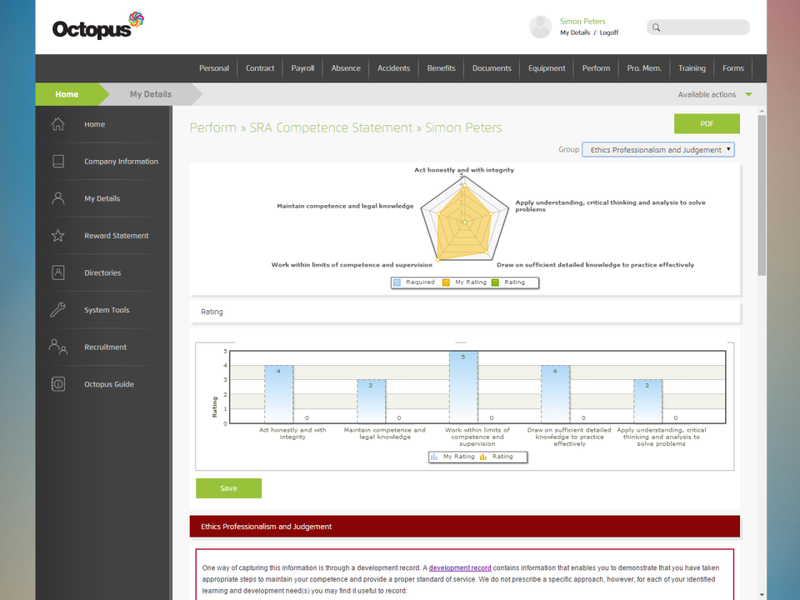 The help & Support from Octopus is fantastic, we have found they respond within a few hours of raising a query / question. Staff are kept updated more with company policies, holidays and events within the company now we are using Octopus. 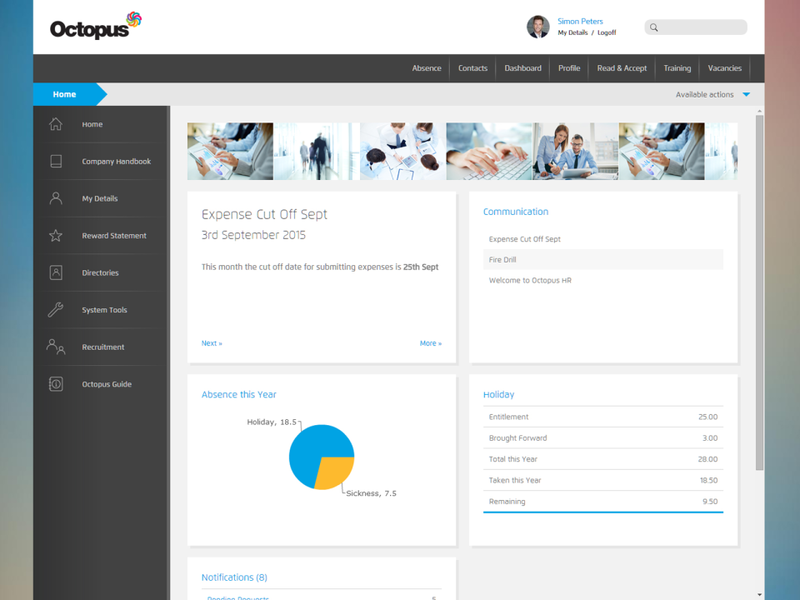 Pros: As a small company we didn't want to spend a lot of time familiarising ourselves with lots of functionality that we might not need, but Octopus was easy to use and easy to show others within the company how to use the features that are most useful to us. If we had any questions about the functionality the support team were fantastic at helping us. Cons: We had to invest in an initial training session, we had hoped we could pick it up from just a couple of online videos but to be honest, we're glad to have done the training as it's so in-depth and really worth it. Recommendations to other buyers: Use the free trials, and use them in a way that fits that fits your business then you'll be able to see the advantages of this over other suppliers offering 'similar' functionality. Comments: The front end user experience is great however the back end is too limiting and the customer service received from CascadeGo is dreadful!! Cons: Very basic, no workflow functionality and reporting facilities are basic - not how it was sold! Cons: It takes a little investment time to begin with to become familiar with it and get it set up, but to be honest no decent piece of business software or equipment is without the need to spend some time in the early days so I don't begrudge this.